Add Federal Reserve chair Janet Yellen's name to the list of people who wonder if Bernie Sanders has all the facts down on Wall Street regulation. Yellen strives to be as apolitical as possible as Fed chair, but in a rare interview Thursday, she defended the Fed as a good watchdog of big banks. "We're charged by Congress with regulating financial institutions. We take that mission seriously. We are tough supervisors and regulators," Yellen said. 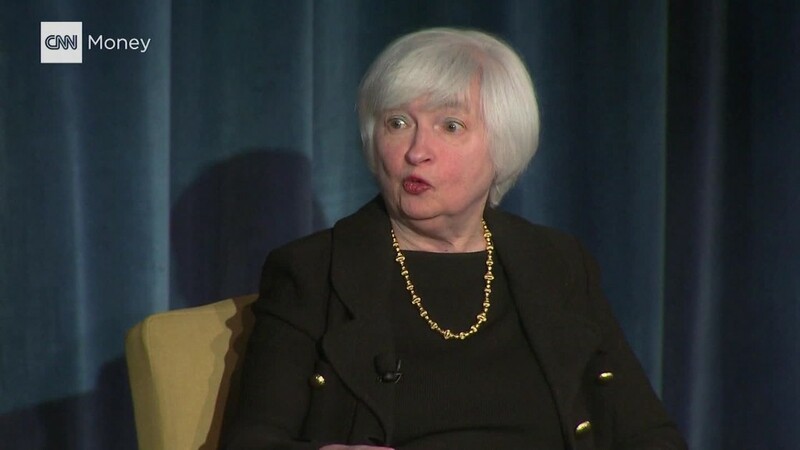 Yellen never mentioned Sanders by name, but she probably didn't need to. Sanders has said repeatedly that "Wall Street is still out of control" and one of the reasons for that is the Fed "has been hijacked by the very bankers it regulates." "To rein in Wall Street, we should begin by reforming the Federal Reserve," Sanders wrote in a New York Times op-ed at the end of last year. On Thursday, Yellen outlined all the ways the Fed has stepped up regulation after the 2008 financial crisis -- details Sanders wasn't quite strong on in a recent interview with the New York Daily News editorial board. Banks have to hold more money -- This is to prevent what happened in 2008 when some financial institutions didn't have enough cash (or cash equivalents) on hand to make their payments to other banks and creditors. The Fed "stress tests" big banks -- Twice a year, the Fed takes a deep look at the finances of each bank and sees what would happen under various crisis scenarios. The Fed then recommends fixes to some banks to make them stronger. Banks now have to submit "living wills" -- Much like a personal will, the bank has to spell out what would happen to its assets and stuff if it "died" like what happened to Lehman Brothers in the crisis. 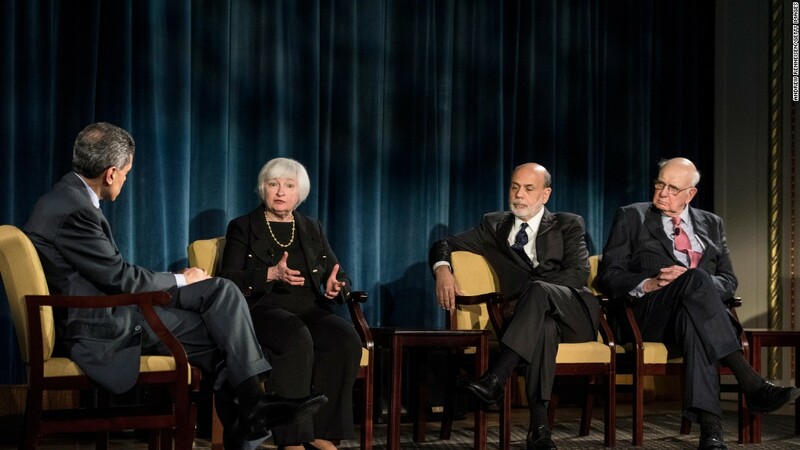 "We've made considerable progress," Yellen said, speaking on a panel where all four living Fed chairs were interviewed together for the first time ever by CNN's Fareed Zakaria. Sanders disagrees. He wants to break up America's biggest banks like JPMorgan Chase (JPM), Citigroup (C) and Bank of America (BAC). He argues they are still "too big to fail" and that they are "destroying the moral fabric of America." Sanders points out that even the head of the Minneapolis regional Fed bank, Neel Kashkari, has been championing the need to make banks smaller so there won't be another 2008 financial crisis. "I feel more positive on the progress we have made [than Kashkari]," Yellen told CNN's Zakaria. Does Sanders know current policy? Sanders has come under criticism for his responses in the New York Daily News editorial board interview. When he was pressed for details on his plans for Wall Street, he said several times that he "didn't know" or wasn't entirely sure. For example, when the editorial board asked him if the Fed currently has the power to declare a bank a danger to the economy, Sanders replied, "Well, I don't know if the Fed has it. But I think the administration can have it." Democratic rival Hilary Clinton and her supporters have cast Sanders as not qualified enough to be president. "I look at it this way -- the core of his campaign has been break up the banks, and it didn't seem in his answers he understood how that would work under Dodd-Frank," Hillary Clinton said Wednesday. But Sanders has his backers. Former U.S. Treasury Secretary Larry Summers (who served in both the Bill Clinton and Barack Obama administrations) says Sanders gets one big issue correct. "I think that Sanders is right in his central point that financial policy is overly influenced by financial interests," Summers wrote in a Washington Post op-ed late last year.